Please welcome the following meetings, conferences, conventions and sporting events to Rochester this October. The 2016 GCEC Conference will be hosted by the University of Rochester and the Rochester Institute of Technology. GCEC is the premier academic organization addressing the emerging topics of importance to the nation’s university-based centers for entrepreneurship. More than 225 university-based entrepreneurship centers are members of the GCEC. Rochester is excited be chosen as this year’s host. Guests will enjoy excursions to ArtisanWorks and the George Eastman Museum. 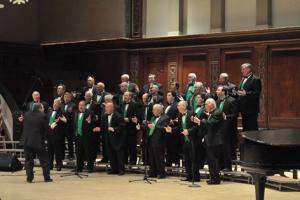 Barbershop Harmony Society is the first of several organizations to promote and preserve barbershop music as an art form. Just under 25,000 men in the United States and Canada are members of this organization whose focus is on a cappella music including Rochester&apos;s own Chorus of the Genesee. MYHockey strives to enhance the overall tournament experience for players, parents, and coaches both on and off the ice. 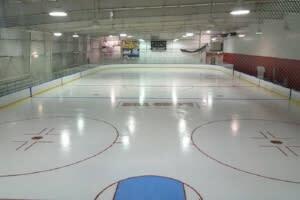 They offer a wide variety of tournaments at attractive locations throughout the country to bring the best matched competition together for top level hockey. Rochester is pleased to be chosen as a location for 6 tournaments this season, including two in the month of October. On October 6th and 7th, the restored Riverwood Tech Campus (formally Kodak Riverwood) will serve as a single space for techies and business professionals to gather, network, and share, as well as learn about the wealth of resources available here in Rochester, NY. Rochester business and the local community will bring together organizations and companies that provide the resources and support tech startups need. These services include business advice and mentoring programs, incubator space, startup capital, capacity building programs, and more. 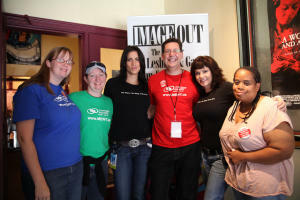 ImageOut is Upstate New York&apos;s longest running lesbian and gay film and video festival. This annual festival features 10 days and nights of films and special events. With an annual average attendance of over 10,000 viewers, ImageOut continues to draw diverse audiences from the Upstate New York region, Pennsylvania, Ohio, Ontario, Canada and beyond. This year the ImageOut Festival has been named an Iris Prize Partner. The Iris Prize Festival, Cardiff’s International LGBT Short Film Prize, welcomed ImageOut as one of five new international partner festivals to its roster in celebration of its 10th anniversary. Each of the partner festivals nominate a short film towards the final shortlist of films competing for the annual Iris Prize, which carries a £30,000 cash prize. The historic Little Theatre and the Dryden Theatre at the George Eastman Museum will both host films this year. 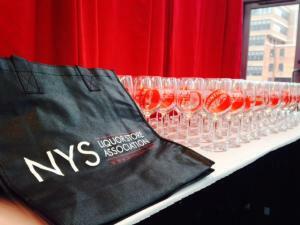 The New York State Liquor Store Association (NYSLSA) works to create a stronger presence of retailers within the industry and to represent the political and business interests of liquor store owners throughout the state. This is the second year the Tradeshow will be held in Rochester, NY. Over 150 vendors and more than 1,000 products will be available to sample. All New York State wine and liquor store retailers, restaurants, and tavern owners are welcome to attend this free event. 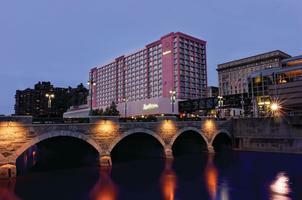 The NYASP Annual Conference will be held at the Hyatt Regency in Rochester, New York this October. This year’s theme is Focus on the Positive: Climate, Culture and Community. Keynote Speakers will include T. Andrew Brown, Vice Chancellor, NYSED Board of Regents, My Brother’s Keeper initiative and Improving Outcomes for Boys and Young Men of Color and Melissa Reeve, NASP President. The OSA Annual Meeting encompasses the breadth of optical science and engineering and provides an atmosphere that fosters the exchange of information between those working on fundamental research and those looking for solutions to engineering problems. Special symposia and other major events further highlight major advances in many selected areas. 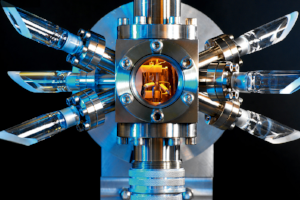 It is joined by the Annual Meeting of the Division of Laser Science of the American Physical Society, which presents the latest work on laser applications and development, spanning a broad range of topics in physics, biology and chemistry. The Optical Society of America was founded in Rochester, NY in 1916. Boys hockey teams from all over the US and Canada will meet in Rochester, NY to compete in this weekend tournament at the Bill Gray’s Iceplex. This invitational is made possible by sponsors Travel Team USA and the Monroe Country Sports Commission. 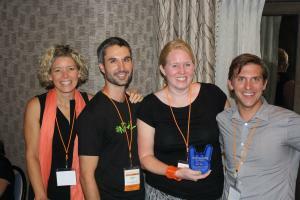 Rochester based company, NimbleUser, invites customers and partners to Rochester, NY for the annual Nimblepalooza. This event encourages innovation by connecting the Nimble Association Management System user community with each other for two days of learning and networking. This statewide symposium will take place October 26-October 28 at the Radisson Hotel Rochester Riverside in Rochester, NY. The mission of New York State Corrections and Youth Services (NYCAYSA) is to build bridges among agencies, associations and individuals working with offenders, victims, clients and their families. They promote professional development, encourage innovative practices and provide professional training to ensure their members and affiliates opportunities to provide a meaningful contribution to a better New York. The 2016 EROI Festival theme is Breath for Singing: The Organ and the Human Voice. 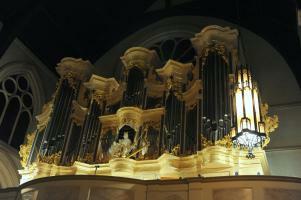 Explore the diverse roles the pipe organ plays in collaboration with the human voice. Prominent organists and musicologists will present concerts, lectures and demonstrations exploring the organ’s role in leading and supporting congregational song. A Hymn festival featuring members of Rochester church choirs will be one of the highlights of the event. Guests will also enjoy panel discussions, lectures and demonstrations. Then NYSNA 2016 Annual Conference, MISSION IMPOSSIBLE will take place in Rochester, NY this October. 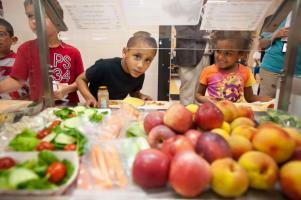 The New York School Nutrition Association brings together school nutrition professionals, industry partners, and influential speakers through general sessions, multiple breakout sessions and networking events. Guests will have the opportunity to interact directly with industry experts, and consultants in the exhibit hall at the largest food show in New York State. Fencing athletes from across the region are invited to Brockport, NY for the Super Youth Circuit Ben Gutenberg Memorial Tournament. Teams from Connecticut, Maine, Massachusetts, New Hampshire, New York, Rhode Island, and Vermont will compete at the USQ Northeast Regional Championship for the opportunity to attend the national championship, the US Quidditch Cup. 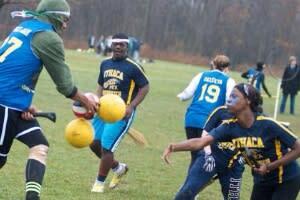 With both the gold and silver medal winning teams from April 2016’s US Quidditch Cup 9 competing in the Northeast region, the competition is sure to be a close one! Come to Total Sports Experience in Rochester, NY this October and watch the excitement! October Madness will take place October 28th through the 30th at the Bill Gray’s Regional Iceplex, and is a one of a kind competitive event. The tournament will consist of 32 participating teams which are set into brackets (similar to the NCAA Basketball Tournament). Winning teams advance into more competitive rounds, which reduce down to a "final four" and championship game. Participating teams will be solely comprised of players with a birth year of 2005, and teams will travel in to compete from all over the United States and Canada. 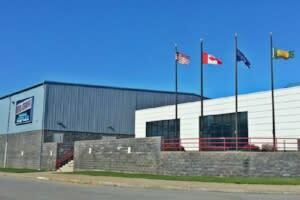 "SuperSeries is thrilled to work with Bill Gray&apos;s Regional Iceplex for the upcoming tournament season," said Jeremy Dallow, Commissioner of SuperSeries. 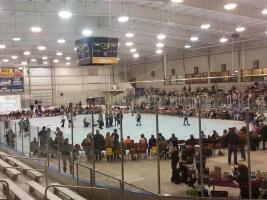 "It is a tremendous facility, and working in a venue with four ice rinks under one roof creates a buzz around a competitive event, making it lots of fun for all participants and families."